"Unless you’re a bit of a layabout, your feet carry you around for most of the day. As such, I propose you owe them the very best. And the very best I can think of is extra fine, superior quality merino wool that’s luxuriously soft and silky. This wonderful fibre keeps you warm in the Winter and cool in the Summer, and your feet happy all year round." "Socks knitted with extra fine merino wool and finished without seams, with a comfortable double-welt band to keep them in place." The socks have always been very comfortable and have lasted for years. Same issues as cotton socks: lack of sufficient elastic in socks. They slide down and bunch up within my shoe. Never have this issue with other brands. Also, material is thinner than I expected coming from C.T. Response from Charles Tyrwhitt: I am sorry to hear that your recent purchase was not as expected, however we appreciate your feedback so that we can take your comments on board and pass back to our teams. You are of course more than welcome to return or exchange your items within our six month guarantee, as we certainly wish for you to be able to make full use of your purchases. 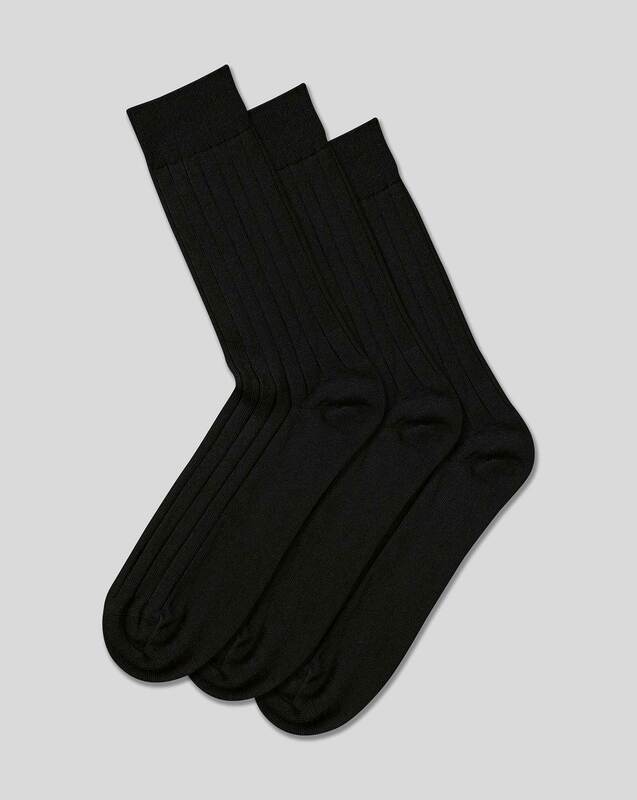 These dress socks are extremely thin, uncomfortable, and do not stay up. I am surprised by the poor quality and this purchase was a waste of my money! Response from Charles Tyrwhitt: It's terribly disappointing to see you were so displeased by your most recent purchase from us. Whether it be shirts, shoes, suits or socks, we aim for the highest quality in everything we manufacture - so I'm sorry to see this hasn't been the case here. We would never want you to feel as though you had wasted your money, however, so would welcome you to raise a return for these socks. It doesn't matter if they have been worn, as our guarantee is truly "no quibble".